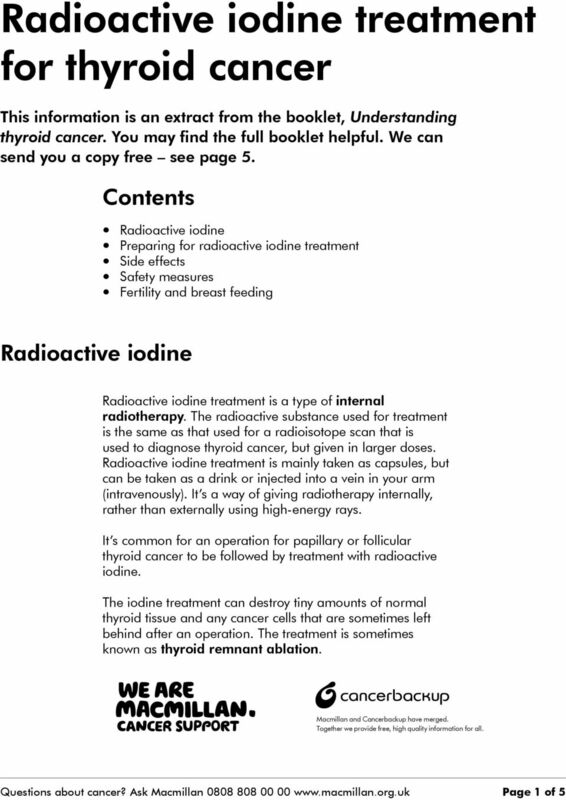 Download "Radioactive iodine treatment for thyroid cancer"
Patient Guide to Radioiodine Treatment For Thyrotoxicosis (Overactive Thyroid Gland or Hyperthyroidism) Your doctor has referred you to Nuclear Medicine for treatment of your overactive thyroid gland. 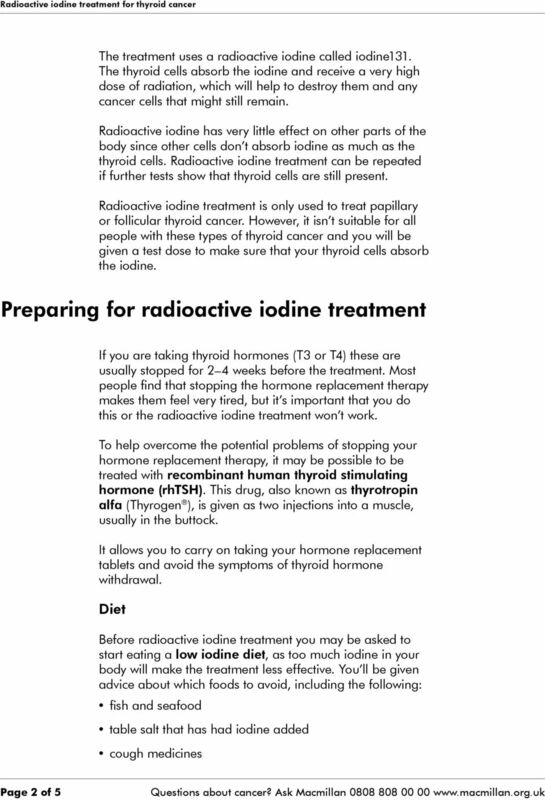 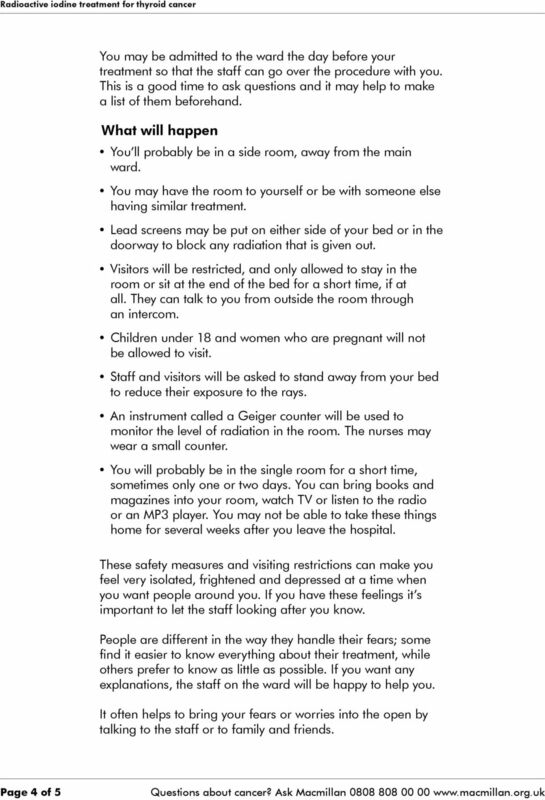 The faecal occult blood (FOB) test This information is an extract from the booklet, Understanding bowel cancer screening. 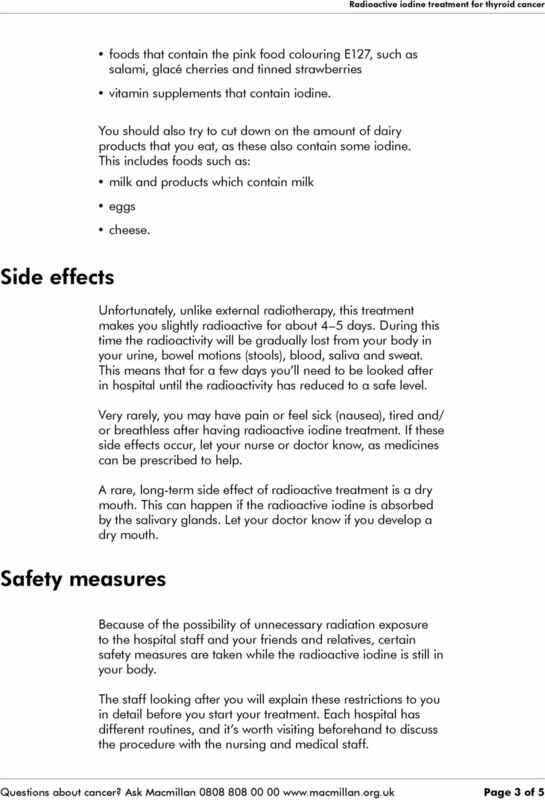 You may find the full booklet helpful. 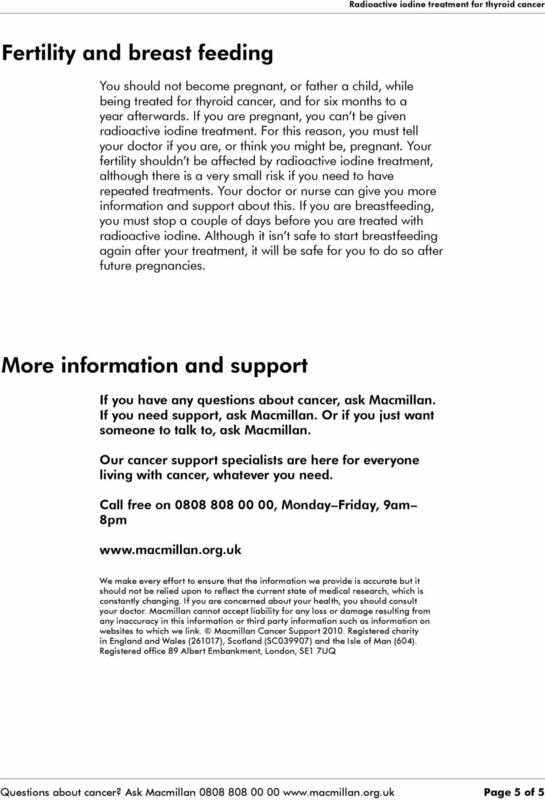 We can send you a copy free see page 6.